The unstoppable rise of social media has resulted in many headlines over the past few years, both in and out of the workplace. Whether it be tweeting an *innocent face* or a breeding ground for salacious gossip, social media – and particularly Twitter – has become entrenched in our everyday lives. What’s more, its use seems to be moving faster than the legal or political methods available to control it. Twitter now has more than 500 million registered users worldwide, generating around 500 million unregulated tweets per day. Facebook has more than 1.1 billion active users worldwide (and an Oscar winning film under its belt). With statistics such as these, there is more than a chance that employees will be sharing their lives, thoughts, photos, videos and opinions with anyone who shows the slightest interest. The ever growing trend towards social media presents a unique opportunity to get a positive image of a business and brand into the public domain as well as providing an efficient way of sharing information, knowledge and best practice with others. Virtual communities can also offer excellent internal and external networking and recruitment opportunities. But there is an increasing number of challenges. Legal liabilities can arise from the use of social media by employees (whether in business or in private) and it is important for businesses to understand this rapidly developing area, know where problems may occur and how far they should go in regulating employees’ activities. There are several key areas to consider. Businesses have often been faced with what they consider to be inappropriate or offensive behaviour by their employees. Given the explosion in social media, comments, opinions and other behaviour can attach themselves as a permanent record to an individual’s online presence. 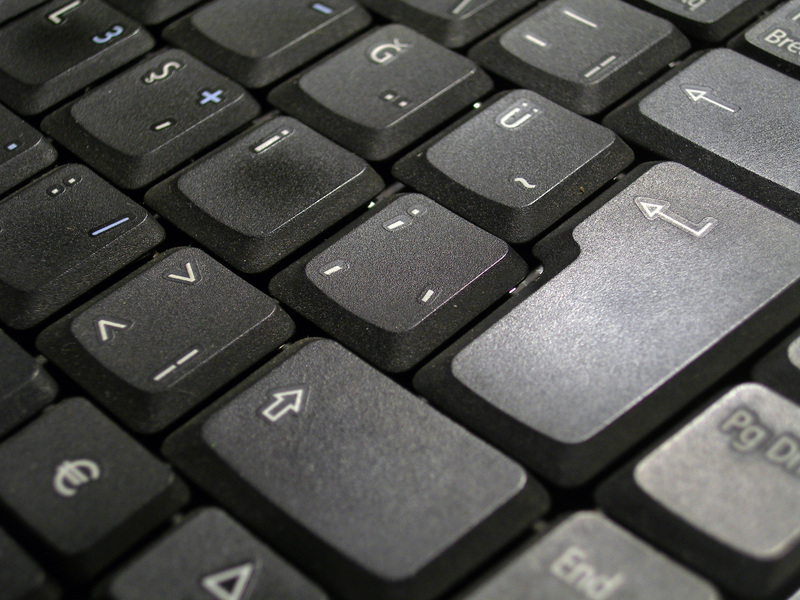 The question facing businesses, and in turn the Courts and Tribunals, is whether an employer can take disciplinary action against an employee for things done outside the workplace or private opinions expressed publicly online. As with an overheard conversation in the pub, employers are not obliged to disregard an employee’s conduct simply because it occurs outside the workplace. There will be a case for disciplinary action if the conduct is not private in nature and where there is a link to an employer which is readily identifiable. the potential readership:how big is the network? In one case, a pub manager made disrespectful and derogatory comments on her Facebook profile to her 646 ‘friends’ about regular pub customers. The comments filtered through to the customers and following a complaint, the manager was dismissed. A Tribunal determined that this was a fair dismissal, despite the fact that the employee argued that her comments could only be viewed by 40-50 close friends. On the flipside, in a case brought against a supermarket chain, an employee was found to have been unfairly dismissed after posting a video clip on YouTube of colleagues fighting with branded plastic bags whilst at work. The Tribunal considered that there was no clear association with the supermarket and, in any event, despite the clip being accessible by anyone, it had only been viewed 8 times. Even taking into account the above, the starting point may be to assume that anything said or posted online is generally available for public consumption and employees should be alerted that this is the case through employer policies or otherwise. The more serious, harmful or potentially harmful the comments or actions are, the more serious the misconduct which can be dealt with through the normal disciplinary procedures. The instant nature of social media platforms makes it all too easy for employees to take their grievances and criticisms about their employer or workplace online. Recent news stories have made public a number of circumstances where a business has been brought into disrepute or, otherwise, had its reputation damaged by employees through comments made online using social media. In one example, a 16 year old, having only been employed for 3 weeks was dismissed for having described her job as ‘boring’ online. In that situation, the company said that ‘her display of disrespect and dissatisfaction undermined the relationship and made it untenable’. The employee’s reaction was simply that ‘it was only a throw away comment’. This is really the issue. Once a comment is made online, it becomes a permanent record for the world to see. In a more serious case, 13 members of Virgin Atlantic cabin crew were dismissed after they described passengers as ‘chavs’ and criticised the airline’s approach to safety. Once again, it is vital to look at each individual case on its own merits and in the case of the Virgin cabin crew, the airline’s brand, reputation and high standards of customer service were put into question. Employers should not automatically assume that just because there is something posted online that it is immediately viewed by thousands of people or necessarily damaging to the business. However, as we have seen in recent months, once the press are given the taste of a story it can quickly become front page news. Unfortunately, ‘facts’ posted online often go unchecked. News is frequently not verified before it is circulated between friends, followers and contacts to a potentially global audience. Even reputable news broadcasters have relied on Twitter for scoops which later prove to be false. In the case of disparaging or derogatory comments being made about an employer, the implied duties of trust and confidence which exist between employer and employee are most likely to be affected. An employee must have faith in his or her employer but it is equally important for the company to also be able to trust its staff to act in its best interests at all times. This includes speaking about it in a positive light, especially when dealing with the public at large. It is not unusual for employees to build friendships both in and out of the workplace, some of which may occasionally turn sour. So long as these are played out in private, there may be nothing that an employer can do about it. However, with the rise in social media, there is a distinct possibility that workplace disputes, disagreements and domestic dramas can be played out online, becoming deeply upsetting and occasionally offensive. There are many examples of employees who have been dismissed for posting offensive and even discriminatory comments about other employees on Facebook or through Twitter, such conduct being a breach of an employer’s policy on workplace bullying. If this is the case, employers should take a zero tolerance approach, treating comments such as these as seriously as if reported through more traditional routes. An employer may be vicariously liable for the actions of employees. There is a duty of care towards employees and protecting them from unwanted and inappropriate conduct – especially from their peers – is an essential part of this duty. It is the employer’s responsibility to ensure that employees are alert to the risks of posting confidential information online. This may relate to information about other employees in the organisation, but could also extend to client confidentiality and intellectual property. LinkedIn, the professional networking website, is a good example of how information confidential to a company can be made public, on the face of it quite reasonably. By creating a list of an employee’s business contacts online and posting an online CV, companies may not only be building their brand, but also encouraging poaching by competitors. But once contacts are made, are they personal to the employee or the property of the business? There is some uncertainty at the moment, as with any developing technology or new way of working. For the time being, however, controls on the use of LinkedIn and other networking sites should be introduced and regulated to ensure that contacts remain the property of the employer and perhaps incorporating express obligations to return such information on termination of an employee’s contract of employment. This might easily be managed by use of effective restrictive covenants. 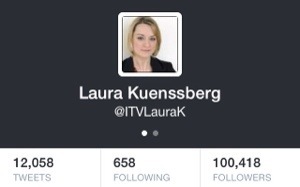 With regard to Twitter, the 2011 move of the BBC’s Chief Political Correspondent Laura Kuenssberg to ITV saw her 60,000 (now over 100,000) followers seamlessly transfer from @BBCLauraK to @ITVLauraK. The commercial broadcaster has admitted that her following was one of the attractions to the popular journalist. The approach of employers to adopting a social media policy is likely to vary greatly between businesses. Some, including many public sector organisations, may choose to strictly regulate and restrict their employees, in terms of accessing social media websites through their company IT systems during work time, restricting links and references to the employer’s name in online profiles and making clear that comments made on social media sites should always be treated as public rather than private and with no expectation of privacy. Equally, it can be made clear that criticism of the employer or derogatory comments about it will not be acceptable in any medium. The introduction of disclaimers to any comments, whether online or otherwise, to distance employees from their employers and specific prohibitions on bullying, harassment and any other discriminatory behaviour against employees or, indeed, customers or clients through social media might also be considered. But be aware that such restrictions may have the effect of distancing employees generally. Some of these points may be made in a specific social media policy, but more likely may well be applicable to many existing policies and methods of working. It would be advisable to mention specifically the use of social media in existing disciplinary and bullying and harassment procedures. Another approach is to allow employees to ‘self-regulate’. It might be dangerous to rely upon a common sense approach, but guidelines as to what will and won’t be acceptable and what might be considered as misconduct may encourage a happier, harmonised and ultimately more successful workforce. No matter which method of regulation is adopted, it is essential that existing policies are considered in light of new developments in social media and that at all times any policy is implemented fairly and consistently. As ever, a thorough investigation and fair disciplinary procedure will be essential when issuing any sanction, not just dismissal. HMV was recently caught out when an employee ‘live tweeted’ the dismissal of 60 employees over a 20 minute period, from the HMV account – @HMVtweets. It is important for a company to retain control of all media outlets, including passwords, particularly if it is public facing. There will remain for some time unanswered questions as to how the Courts and Tribunals will react to developments in social media and how they affect conduct in the workplace. Whether employers should have a ‘thicker skin’ where social media is concerned will depend on how the judiciary reacts. At present there is no overriding regulation of such sites as Twitter and Facebook, but this will surely only be a matter of time. Until then, it will be up to employers to consider each individual circumstance on its own merits and unique facts.